- From Blooberry.com. be sure to check the Tips & Tricks and Browser Peculiarities sections. - Attributes you can use witht he EMBED tag fom the HTML compendium. - This links goes to the section of the Netscape documention for HTML tags. 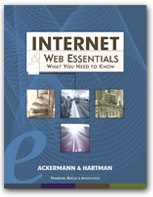 "This book provides a complete reference to all the HyperText Markup Language (HTML) tags and attributes supported in Netscape Navigator 4.0 and earlier. This book was posted on 11/19/97."